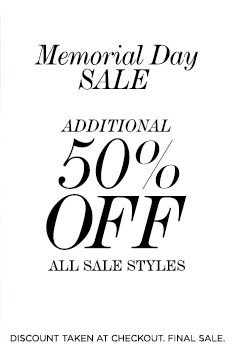 Memorial Day Sale preview is on at bebe online. Visit the official website and take an additional 50% off all sale styles! Offer is valid at bebe online only. Discount taken at checkout. Source of the information is bebe online. Offer is time limited. For more details visit official bebe website.